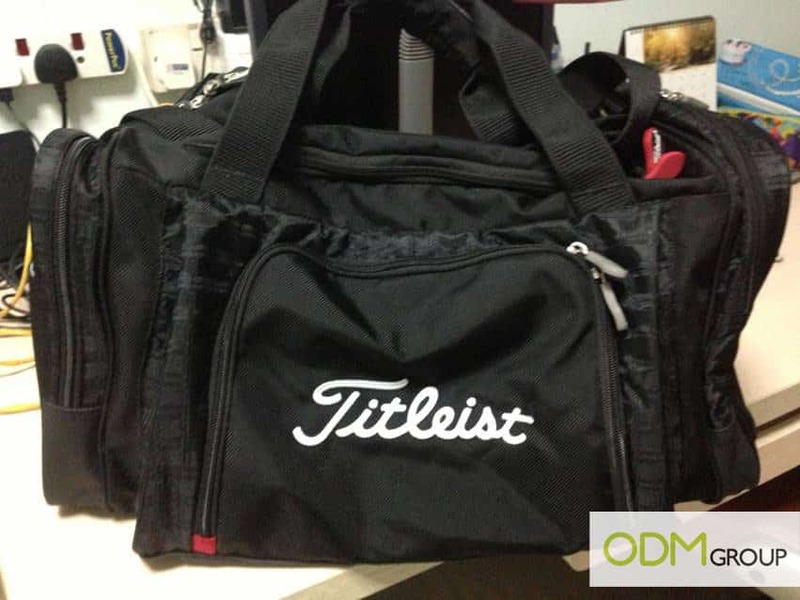 A free custom Duffel Bag by Titleist! Sign up for the Asia’s golf competition to receive this Titleist’s custom Duffel Bag! Titleist is a popular brand in the golfing world. Their main focus is on golf balls but yet at the same time offer other merchandises such as accessories, fashion, bags and caps. This custom duffel bag has many components, pockets, dividers and even a shoe bag included to reduce more baggage! It is the perfect promo gift for every customer as it is suitable for workout sessions at the gym, a family outing or a getaway! The white brand name stands out from the black background. With a large surface area to work with, the brand will be captivating with the chic design. Useful and practical, this promo gift is an item we can all use daily, helping to increase marketing efforts. Imagine seeing someone with a beautiful chic duffel bag, you are prone to find out where it came from. As such, customers turn into walking advertisements for your brand to promote to others. This custom duffel bag will increase brand awareness and boost sales. The large area allows more customization to be done to the bag such as brand name, logo and key message to bring across. Most duffel bags are black with a white brand name. To increase brand recognition, you can consider customizing the promo gift with the colour scheme of your brand logo. This will help to increase brand retention in consumers’ minds where they will immediately recognise your brand when they come across your company’s colour scheme! This promo gift does not need to come in the form of a standard duffel bag shape. You can consider interesting shapes like one of an animal, drink bottle or even a certain type of food! This duffel bag is highly customizable to suit the needs of your company products and brand. Other than promoting your brand, this promo gift serves another purpose in improving the corporate social image of your brand. For example, you can have it in the shape of a cat to increase awareness on the issue of stray animals. Messages can also be printed on the bag to promote this issue and educate the right values to your customers. This way, your are constantly improving your image to customers as well as public when the duffel bags are being used. A worthy investment with many returns on investment, this promo gift is certainly your choice to consider!